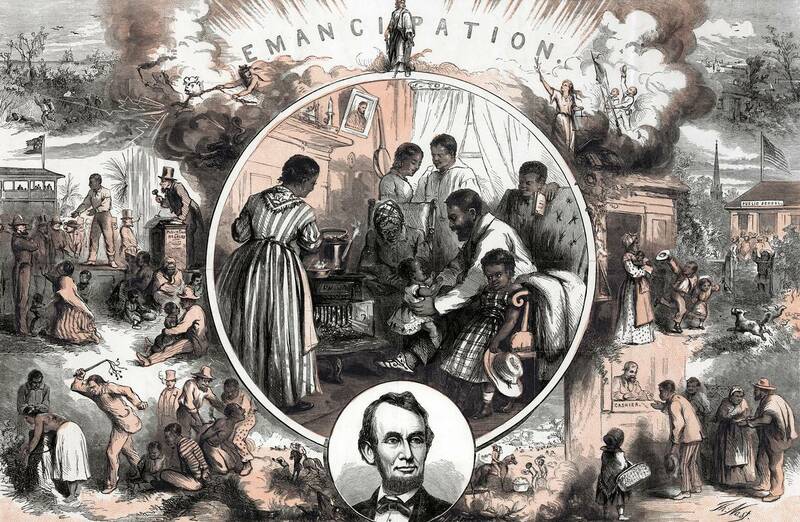 Learning Experience December 3/4 – Emancipation | AMERICAN HISTORY RULES! It’s one of the most important documents in American history, and probably the single action Abe Lincoln is known for more than any other – the Emancipation Proclamation. We will discuss this incredible document (incredibly misunderstood as well) in class after Turkey. Your first task to prepare is to read the handout about the EP, read and annotate the Emancipation Proclamation and read and watch The Emancipation Proclamation videos below from the History Channel. Use the guide questions on the handout – you don’t need to answer them in writing! Then, turn to the great document itself by annotating the actual text of the EP following the instructions on the handout. There isn’t much writing – I promise. For some additional insight, check out 5 Things You May Not Know About Lincoln, Slavery and Emancipation from History in the Headlines.